Backed by a rich industry experience, we provide an innovative range of Epoxy Golden Sparkling Coating Service. This flooring provides a smooth and seamless coating to the surface. Highly dust and stain resistant, our Epoxy floorings are very easy to clean and maintain. These Self Leveling Epoxy Floorings are done with a meticulous attention to every detail to render a perfect finish and an aesthetic appeal. 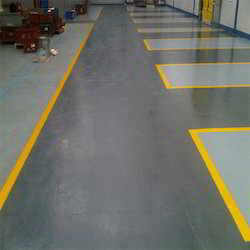 Aspired by the latest market trends, we are engaged in offering a broad gamut of Industrial Floor Marking Works. The offered floor marking work is performed by using contemporary technology & tools under the guidance of experts keeping in mind the quality standards. Our offered floor marking work is examined on working phase by experts on different quality provisions to make certain its finest quality. Customers can benefit this floor marking work service from us at pocket friendly rates. We offer a premium range of Granite Finish Flooring Service. This highly comprehensive flooring service is widely praised in the industry for its superior and elegant finish and remarkably high durability. Our Self Leveling Floorings are slip resistant and have a very high adhesion and resistance to chemicals and abrasives. Our skilled workers utilize advanced equipment to establish a strong bond between the floor and the coating which significantly contributes to the long life of these coatings. 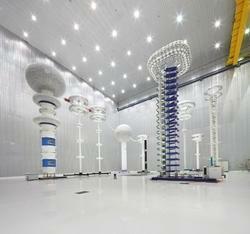 Abrasion Resistant Epoxy based floor Coating work can be done for Air Hangers or Airports to Reduce Friction. Thickness 0.3 mm to 4.00 mm. 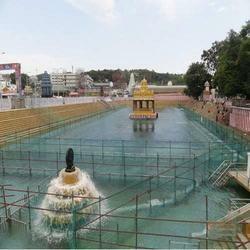 Our organization provides PU Based Floor Coating Service. These coatings are highly suitable for chemical processing plants, manufacturing units, showrooms and workshops as these coatings are highly resistant to the action of abrasives/chemicals and are easy to clean & maintain. Our advanced coatings have a superior finish and can withstand heavy amounts of wear and tear. 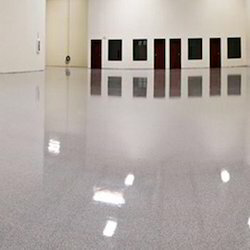 Looking for Epoxy Flooring Coating Service ?